An artist's impression of 78 on Edward in Tygervalley. JSE listed Spear REIT Limited has commenced on the redevelopment and refurbishment of two Edward Street buildings which form part of the group’s 26 000 m2 Tygervalley real estate portfolio. 78 on Edward is in close proximity to the N1 highway, linking the Northern Suburbs to Cape Town CBD and the Cape Winelands. “As both significant investors in Tygervalley and founding members of the Tygervalley Improvement District, we believe that the Tygervalley node will continue to function as a strong business precinct node and an attractive business location for numerous commercial and retail tenants looking for high quality business premises. 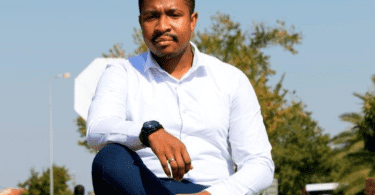 The desirability of the area can be seen with its proximity to the N1 highway north and south, the low A Grade office vacancy rates of 1,8% (SAPOA) and the strong A Grade office rental market achieving north of R 135/m 2 exclusive of VAT” comments Quintin Rossi, Managing Director of Spear. Spear Leasing Manager James Bylos is responsible for the development co-ordination and leasing of 78 on Edward. “78 on Edward has already attracted the interest of numerous blue-chip office users and retailers. 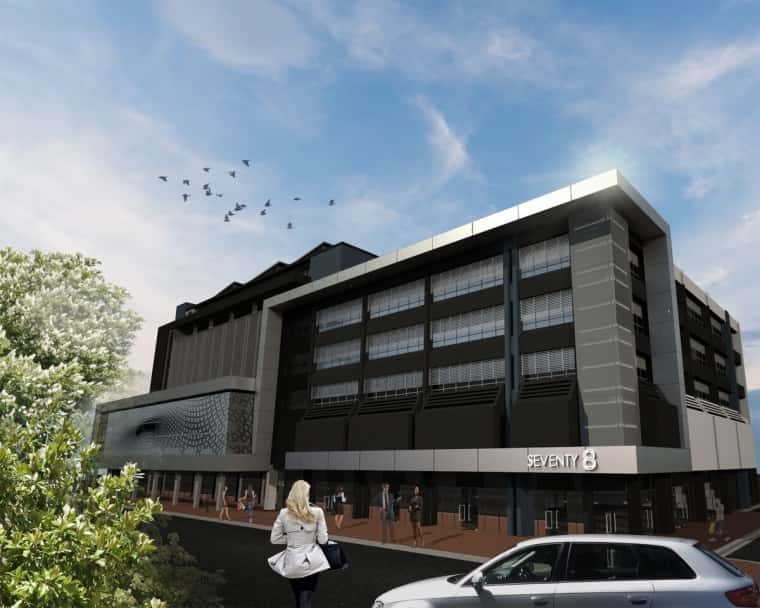 The project consists of the demolition and redevelopment of the property into 1 170m 2 of ground floor retail space, six levels of structured parking and an AAA grade 7th floor penthouse office suite and balcony with breathtaking views of the Stellenbosch mountain ranges and Cape Peninsula. Iin addition, linked to this building will be a further three levels of AAA Grade office space bringing with the a total lettable area of office space to 2 161m 2“. The development cost is R 103 million and is on-track set to be completed towards the end of 2018. 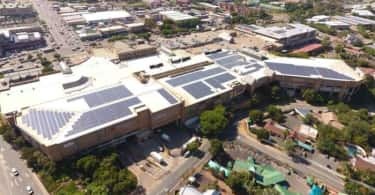 The building will have a green star rating, water continuity plan through a subterranean water tank which taps into non-municipal water supply and a parking ratio of four bays per 100m 2 . The building will also have a very attractive third party signage opportunity available facing onto Durban Road which carriers approximately 40 000 cars per day. “78 on Edward is testament to management’s ability to organically improve asset quality within the Spear portfolio through the redevelopment and refurbishment process. Management will continue to unlock further portfolio approved and developable bulk as and when the market conditions are right to do so, and sufficient tenant demand exists to take up occupancies in these redevelopment projects” concluded Rossi.